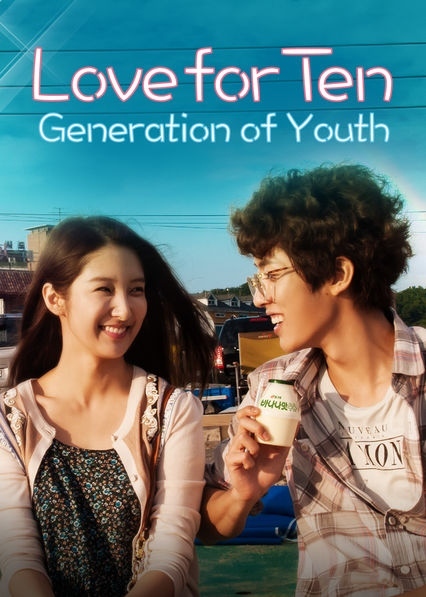 I watched this cute short K-drama Love For Ten: Generation Of Youth (2013) on Instant Netflix when it was added in summer 2017. I had never heard of it before, didn't know the actors at all, but I ended up being surprised how much I liked it. It was quite funny and unique and its quirkiness was something I really responded to, laughing out loud at many scenes, or saying "Awwww!" out loud at particularly sweet scenes. It was also a good premise for a drama, showing college students bonding despite coming from many different backgrounds, taking different majors, and being completely different character types. The glue that bonded them all together was the love of theater arts. The drama was no masterpiece but it was fun and I think most people would enjoy it if they gave it a chance. 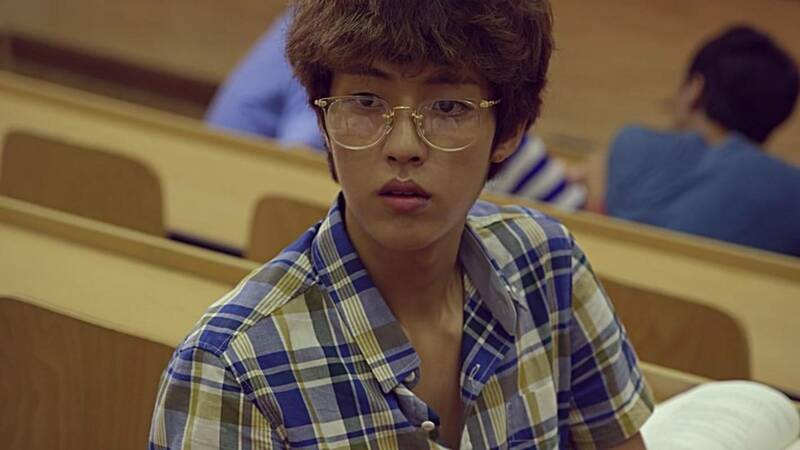 The Story: Jeong Gi-eok (Infinite's Lee Seong-yeol) is a shy engineering college student who develops an instant crush on a new female student dance major named Yoon Minah (4Minutes Ji Hyun) who pops into his homeroom class for the first time. Trouble is all the other guy students in the room can't help but notice how attractive she is, too. If Gi-eok is going to have a chance at all to win her affections he will need to shake off his painful shyness and clumsiness, but it seems too entrenched in him. You Gotta See His Transformation To Believe It! She seems to like him as a friend as time goes by, or like a brother. She invites him to join the college theater arts group, who are planning on putting on a show, in an attempt to bring him out of himself and develop self-confidence in public speaking skills, poise, etc. Surprise, surprise, it actually starts to work. By the time the show is put on Gi-eok is transformed, he has ditched his awkward looks and become extremely handsome. Then, instead of reading the lines from the script he uses his own words to confess his feelings of love to her onstage, and passionately kisses her. 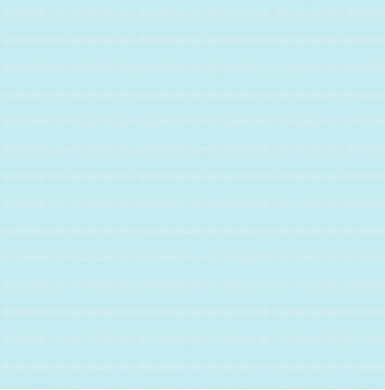 At the end of the play, which is a big hit, will he go back to being the shy and awkward way he was before, or will he become more like the character he played in the show? Also in the cast was Clara playing a sultry character and Jin Won playing a nerdy type. If you have streaming Netflix check it out, I guarantee you will like it.